Spacing out or Breathing In? Jha, whose program has received a $1.7 million, four-year grant from the Department of Defense, described her results at a bastion of scientific conservatism, the New York Academy of Sciences, during a meeting on “The Science of Mindfulness.” Yet mindfulness hasn’t long been part of serious scientific discourse. She first heard another scientist mention the word “meditation” during a lecture in 2005. “I thought, I can’t believe he just used that word in this audience, because it wasn’t something I had ever heard someone utter in a scientific context,” Jha said. Although pioneers like Jon Kabat-Zinn, now emeritus professor at the University of Massachusetts Medical Center, began teaching mindfulness meditation as a means of reducing stress as far back as the 1970s, all but a dozen or so of the nearly 100 randomized clinical trials have been published since 2005. And the most recent studies of mindfulness — the simple, nonjudgmental observation of a person’s breath, body or just about anything else — are taking the practice in directions that might have shocked the Buddha. In addition to military fitness, scientists are now testing brief stints of mindfulness training as a means to improve scores on standardized tests and lay down new connections between brain cells. Michael Posner, of the University of Oregon, and Yi-Yuan Tang, of Texas Tech University, used diffusion tensor imaging before and after participants spent a combined 11 hours over two weeks practicing a form of mindfulness meditation developed by Tang. They found that it enhanced the integrity and efficiency of the brain’s white matter, the tissue that connects and protects neurons emanating from the anterior cingulate cortex, a region of particular importance for rational decision-making and effortful problem-solving. Perhaps that is why mindfulness has proved beneficial to prospective graduate students. In May, the journal Psychological Science published the results of a randomized trial showing that undergraduates instructed to spend a mere 10 minutes a day for two weeks practicing mindfulness made significant improvement on the verbal portion of the Graduate Record Exam — a gain of 16 percentile points. They also significantly increased their working memory capacity, the ability to maintain and manipulate multiple items of attention. That a practice once synonymous with Eastern mysticism could be put to the service of Western rationalism may sound surprising, but consider: By emphasizing a focus on the here and now, it trains the mind to stay on task and avoid distraction. But one of the most surprising findings of recent mindfulness studies is that it could have unwanted side effects. Raising roadblocks to the mind’s peregrinations could, after all, prevent the very sort of mental vacations that lead to epiphanies. 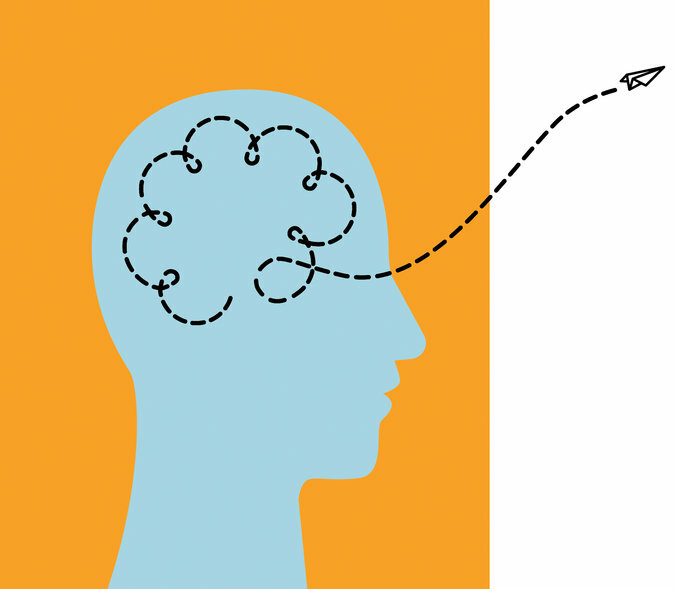 In 2012, Jonathan Schooler, who runs a lab investigating mindfulness and creativity at the University of California, Santa Barbara, published a study titled “Inspired by Distraction: Mind Wandering Facilitates Creative Incubation.” In it, he found that having participants spend a brief period of time on an undemanding task that maximizes mind wandering improved their subsequent performance on a test of creativity. In a follow-up study, he reported that physicists and writers alike came up with their most insightful ideas while spacing out. Another potential drawback to mindfulness has been identified by researchers at Georgetown University. In a study presented at the Society for Neuroscience annual meeting in November, they found that the higher adults scored on a measurement of mindfulness, the worse they performed on tests of implicit learning — the kind that underlies all sorts of acquired skills and habits but that occurs without conscious awareness. In the study, participants were shown a long sequence of items and repeatedly challenged to guess which one would come next. Although supposedly random, it contained a hidden pattern that made some items more likely to appear than others. The more mindful participants were worse at intuiting the correct answers. After meditating upon such sacrilegious findings, no doubt the Buddha, who taught a middle way between worldly and spiritual concerns, would have agreed that there is a time for using mindfulness to discover inner truths, a time for using it to survive a battle or an exam and a time to let go of mindfulness so that the mind may wander the universe. An article on Jan. 19 about the value of meditation misidentified the technique used by scientists to study the effects of meditation on the brain’s white matter. It is diffusion tensor imaging, not functional magnetic resonance imaging.